La Garenne School - We are Responsible Global Citizens! We are Responsible Global Citizens! The Primary section spent time in assembly this morning thinking and talking about what it means to be a global citizen. 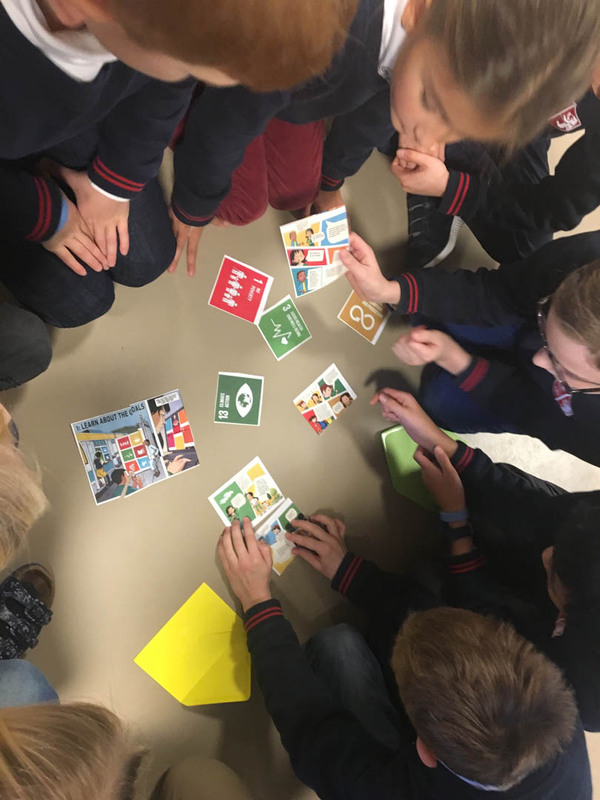 They shared their fantastic ideas and worked collaboratively in groups to look at and discuss the Global Goals. The children had some great suggestions as to how we as a school can make the world a better place, and how as individuals, we can be responsible global citizens. Mrs. Allard from England, has been working at La Garenne since 2008 teaching all of the classes within Key Stage 1 & 2. She has implemented many new programmes including the IPC and Cambridge throughout the school as well as overseeing the day to day running of the Primary Section, Reception to Year 6.